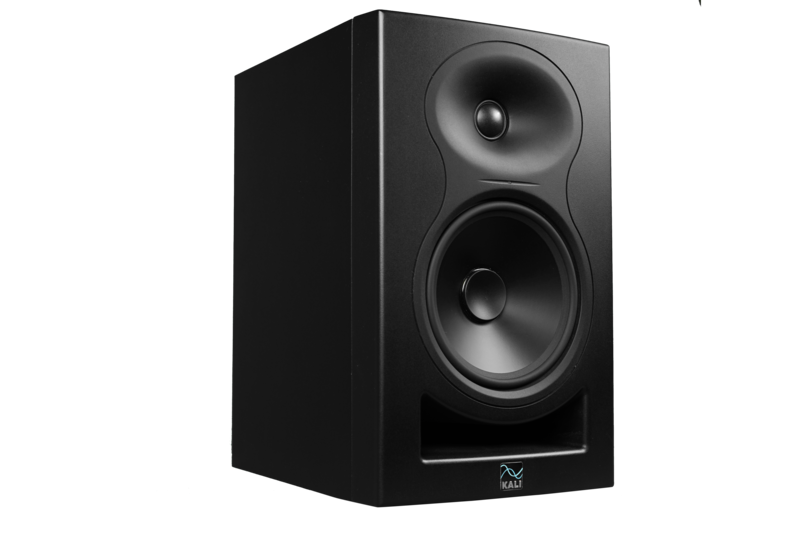 With the continued, ever-growing popularity of home recording for the world's musicians, bands, bedroom producers, and beatmakers, there are more affordable studio monitors on the market than ever. Go-to entry-level speakers like KRK Rokits (with 5-, 6-, or 8-inch woofers) compete alongside offerings from many other companies throwing their hats into the sub-$500 ring, such as Mackie, Yamaha, PreSonus, and JBL. As newcomers on the scene, Kali Audio hopes to offer better, less expensive monitors, and their first entrant into the field, the LP-6, contains a 6.5" speaker for a new list price similar or below most company's 5" models. This can prove important when relying on speakers to faithfully play back your mixes. A 5" speaker simply cannot replicate lower frequencies the way a 6.5" or 8" speaker can. While a smaller speaker is fine for midrange-focused genres like rock or folk, if you you like or need a lot of bass in your music, you'll want a larger monitor and, likely, an additional subwoofer. In order to offer a 6.5" monitor for the price of a 5", Kali says, "We cut a lot of costs that we thought weren't important, spent a little more money on things that we thought were very important, and did a lot of engineering on technologies we could incorporate that don't cost us anything." Another consideration when working with monitors in home studios is they often don't have the room to make the recommended space between the speakers and the wall. (Getting three feet away from the wall in a 10'x10' apartment room just isn't feasible most of the time.) Kali Audio has included boundary EQ switches that you can use to attenuate certain frequencies if your speakers are positioned on top of a table or near a wall. Of course, budget-friendly speakers are not only for home studios or for those just on a strict budget. Yamaha NS-10s were famously built for home stereo use until they started popping up in professional settings all over the world. Whether or not Kali Audio's measures to build a cheaper, better speaker have proved successful will have to be heard two ears at a time. Check them out for yourself here on Reverb today.